Computer Music 251 – VINTAGE SYNTHESIS – our new issue is out now! Even today, in our world of mindbending digital music techniques where anything is possible, we countless producers still prefer the timeless retro sounds of vintage gear. This issue is dedicated to those classic hardware synths, with their imperfections and instantly recognisable characteristics. 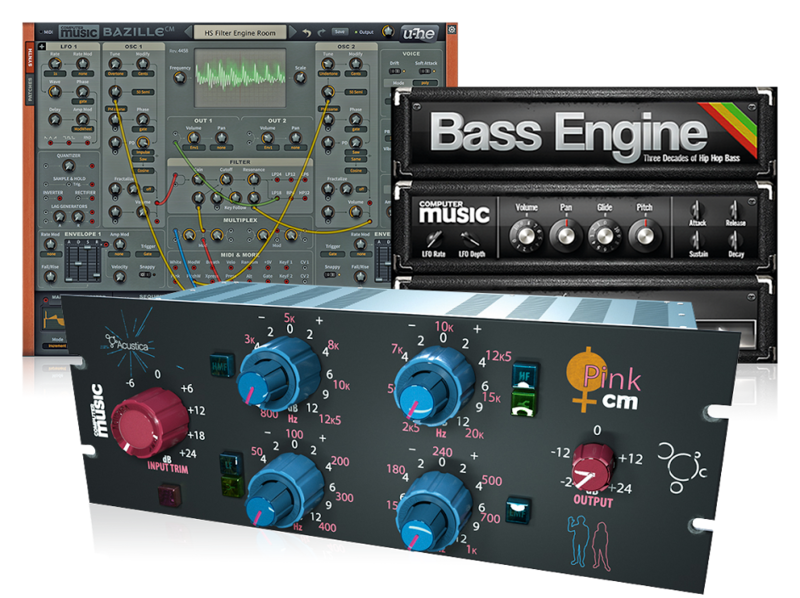 We’re going full on old-school this month, with tutorials, videos and a particularly great plugin giveaway! 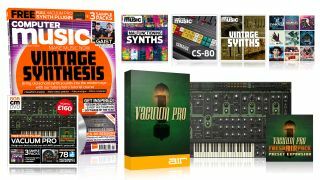 In our massive cover feature, you’ll discover everything about retro instruments, learning what makes them sound different to purely digital models, how to program iconic sounds, techniques for multisampling and loads more. German developers AIR Music Technology are the brains behind tons of powerful software instruments such as The Riser, Hybrid 3, Structure 2, Transfusor 2 and the brand new Loom II. That’s why, for this special Vintage Synthesis issue of CM, we’re especially excited to give you the full version of their epic analogue-emulating polysynth instrument Vacuum Pro – plus their Fresh AIR expansion pack– as sold for an incredible £160. Vacuum Pro is available to both print and digital readers of CM251, and you can find out more about its analogue tube-style talents in the video below or on our full spec page. Uncover every feature of one of the most iconic synths of all time as we get hands-on with an original unit in this exclusive video. With prices for this classic 70s unit now reaching five figures, we’ve made sure everyone gets the opportunity to get up close and personal with every feature of Yamaha’s legend, and we’ve even sampled its brilliant tones to provide them as a giveaway with this issue’s sample packs. With support from techno royalty such as Carl Cox, Richie Hawtin and Pan-Pot, Gaist (aka Adam Wagstaff and Stuart Allan) have been making a name for themselves around the world with their deep, dark techno sound. Computer Music headed up to their Sheffield studio to find out how they created the brooding Mind – released on techno superstars Pig&Dan’s renowned Elevate – and hear more about their journey from computer music novices to techno superstars. Get part 1 of the video below, and get the full version only with your copy of Computer Music 251. In addition to our multisampled CS-80 track fodder, this month also brings you a huge pack of Malfunctioning Synths samples to use royalty-free. Elsewhere, there’s a pack of five multisampled Vintage Synths to accompany our awesome cover feature. There's also another huge Loopmasters collection to download, featuring some choice cuts from the sample giants' recent packs. This year’s been a huge one in music software, and with so much gracing our reviews bench, how are you supposed to identify the best of the best? Never fear – in this issue, we’ve compiled the cream of 2017’s crop, shining a spotlight on the software and hardware you need for the year ahead in production. It simply doesn’t get any better than this!